The wireless charging base of Apple AirPower has been presented for over a year and we have no trace of it. Apple has not made any statement on the subject and many analysts gave the project for canceled , however there have been some clues that indicate that the base is still alive . Today we get a new track from the official website of Apple . Yesterday the Cupertino company finally launched its battery case Smart Battery Case for the iPhone XS, XS Max and XR and in the description of the sleeve on the web of Malaysia, Apple refers to the base AirPower. Will the AirPower base arrive soon? 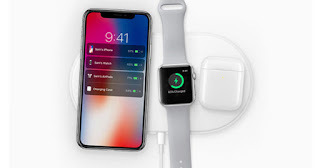 After the silent launch of the Smart Battery Case yesterday, we would not be surprised if Apple followed the same system to launch the AirPower wireless charging base . A load base different from all the ones in the market, capable of loading 3 devices at once without worrying about how to place them in the base. In the official description of official Apple battery packs the company reports that they are compatible with the Qi charging standard. That is, you can charge both the Smart Battery Case and the iPhone wirelessly and simultaneously. 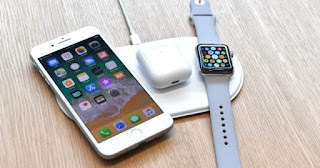 But on the Malaysian website Apple also says that it is also compatible with the AirPower base . Apple's promise to launch the AirPower base in 2018 has not been met, but at no time have they reported the project being canceled. We know that you have had problems with your design but your launch may be very close. A few days ago there were rumors about its entry into manufacturing , so we may continue with the surprises in this beginning of 2019.